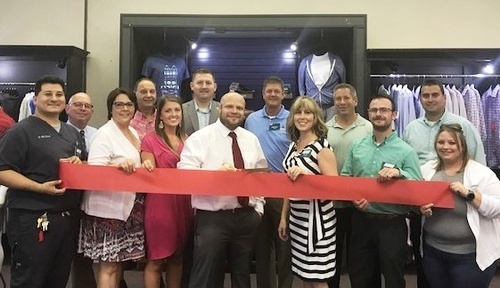 Jeremy Reed, born in a small town in Illinois, has always had a “passion for fashion.” There is a favorite family anecdote about five-year-old Jeremey requesting dress clothes for Christmas, and subsequently wearing the dress clothes -ties and all- to kindergarten. In college, Jeremy majored in business, and having a good time. A former college football player, he’s now an avid golfer. As an adult Jeremy has all too often been frustrated with the lack of shopping options for men in his area, and at the same time desired someone could make shopping easier for him. Unable to find the solution to his desire Jeremy set out on a mission to fill the shopping void for himself and others, resulting in the birth of That Guy’s Secret. Busy That Guys don’t always have time to make it to the store, but they still like to look good. Noting this of his own life, he decided to add an online personal shopper subscription.